The average woman will use 12,000 tampons in her lifetime. What you put in your body matters. At Emerita, we've been improving the health and lives of women since 1978. All Emerita tampons are made from 100% Organic Cotton, grown without pesticides and made without Chlorine/Dioxin. 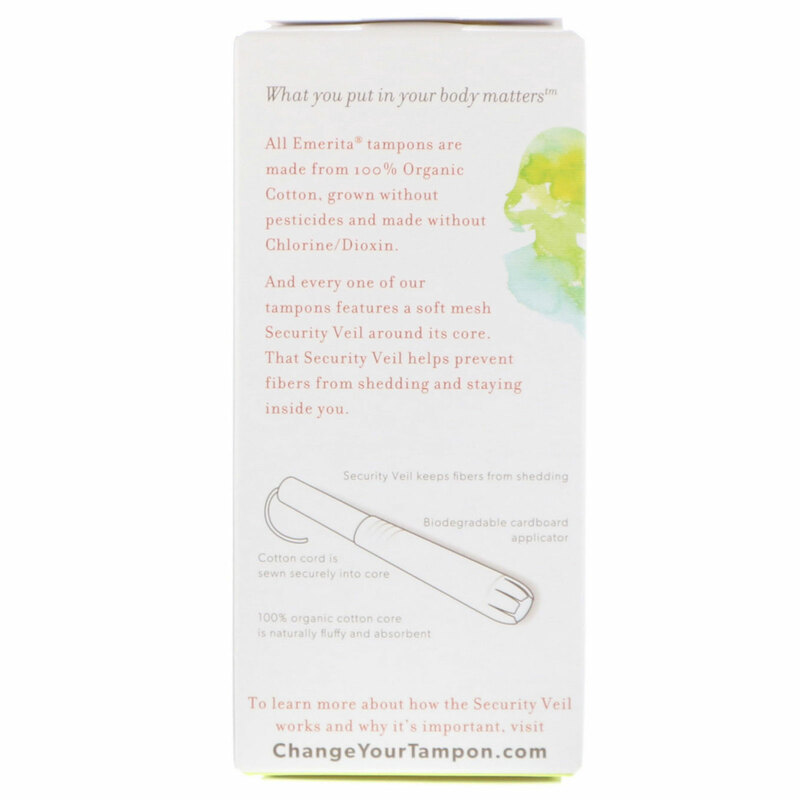 And every one of our tampons features a soft mesh Security Veil around its core. That Security Veil helps prevent fibers from shedding inside you. Security veil keeps fibers from shedding. Cotton cord is sewn securely into core. 100% organic cotton core is naturally fluffy and absorbent. Always select the lowest tampon absorbency to meet your needs. Remember to remove or change your tampon every 4-6 hours. 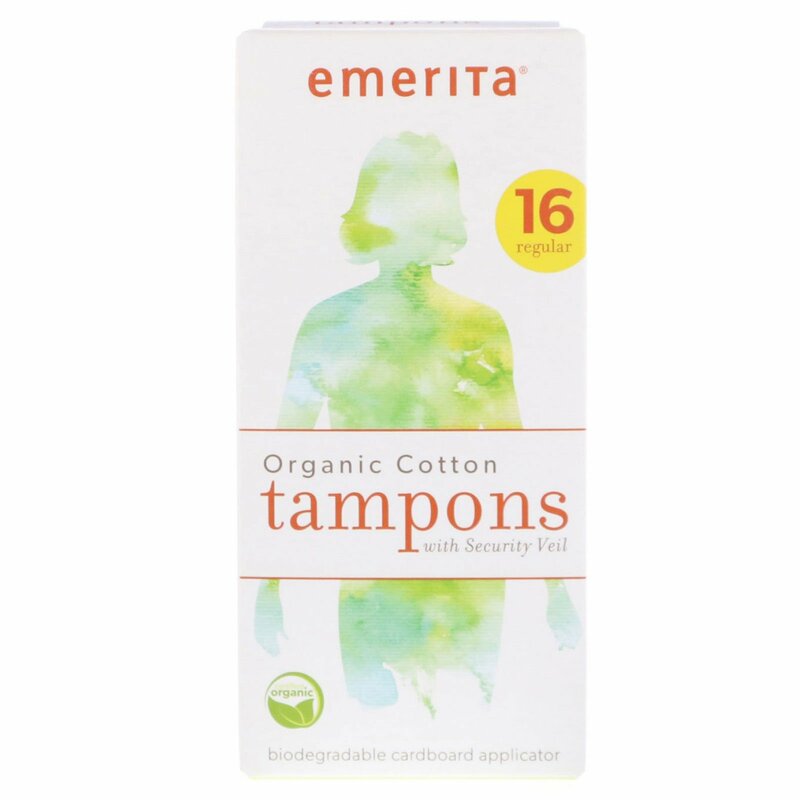 Tampons are associated with Toxic Shock Syndrome (TSS), a rare but serious disease that may cause death. Please read and save the enclosed information.